We have been using the Barcode Label Software (using Excel spreadsheets as an external data source) for a long while and absolutely love it. Lately, the need arose to format today’s date as mmyyy. Is this done in Excel? If so, how? In Excel, formatting dates may be somewhat tricky, as they are handled as their own item-type and converted to a special code. 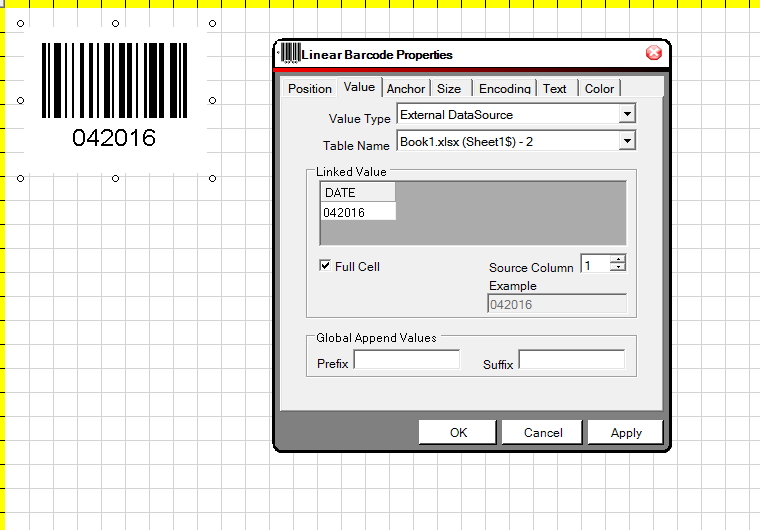 For this reason, it is much easier to format the data to text, and then import it into the Barcode Label Software, as it will retain the text format (which does not have specific restrictions and is maintained through the import process). 2. Save the excel file and follow the instructions to import external data sources.